What’s new when you file your taxes this year? Taxpayers without health insurance will face larger penalties, and those insured by their employers will get a new tax form. There also have been adjustments for inflation, and Congress extended expiring tax breaks, some permanently. “The good news is that we finally have some certainty,” said Kathy Pickering, executive director of the Tax Institute at H&R Block. The arrival of the new year means it’s time to start thinking about gathering the documents needed to file taxes. They include W-2 forms reporting wages or salaries, which employers will send out this month. You’ll also need Form 1099 reporting interest and dividend income, Form 1098 showing interest paid on a home mortgage, and Form 1095-A if you bought coverage through the Health Insurance Marketplace. Tax season opens Jan. 19, when the Internal Revenue Service begins accepting returns. If you like to procrastinate, you’ll have four extra days — counting Feb. 29 because this is a leap year — to file without needing an extension. The deadline is April 18 because of the celebration of Emancipation Day in the District of Columbia. If you live in Massachusetts or Maine, Patriots Day means you’ll have still another day to file. Taxpayers will not see many significant changes when they start filling out their forms, said Greg Rosica, tax partner at Ernst & Young LLP. But do take into account any changes in your personal life, he urged. Did you get married, have a child or begin caring for an elderly relative, for example? “As things change in your personal life, so do taxes change,” he said. Tax brackets, the value of each exemption and the standard deduction have been adjusted for inflation. So have the levels at which certain tax credits and deductions begin to phase out. 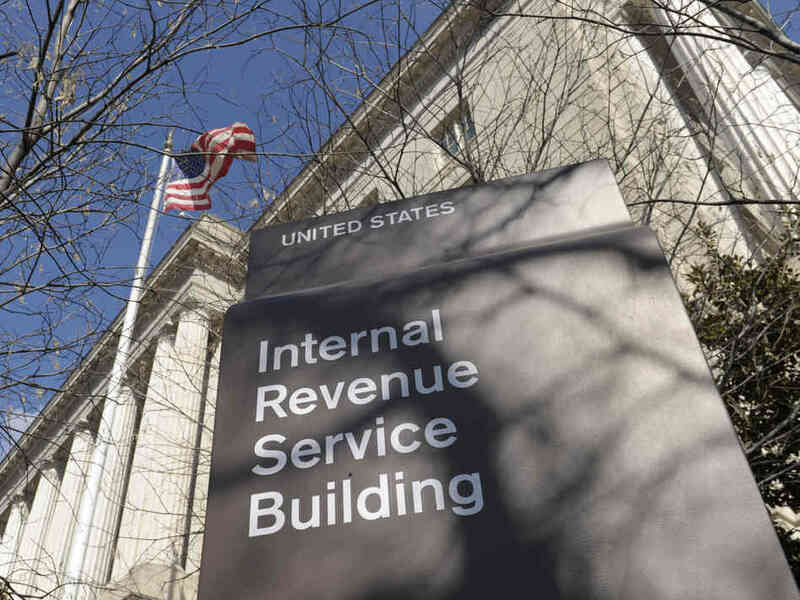 Fewer people are itemizing because the standard deduction continues to creep upward, said Barbara Weltman, a consultant and author of books on taxes, law and finance. For 2015, the standard deduction is $6,300 for single filers, $12,600 for married couples filing jointly and $9,250 for heads of household. Each personal exemption is worth $4,000, up from $3,950 in 2014, according to the IRS. Taxpayers increasingly are choosing to file electronically. Electronic filing was up 2.4 percent in 2015 from 2014. Similarly, the use of direct deposit for refund checks also is gaining in popularity. Last year, more than 86 million tax refunds were paid through direct deposit, up 2.7 percent over 2014. Overall, the average refund in 2015 was $2,797, a slight increase over the previous year. “Choosing e-file and direct deposit for refunds remains the fastest and safest way to file an accurate income tax return and receive a refund,” the IRS said on its website. The agency expects to pay more than 90 percent of refunds in less than 21 days. Identity theft continues to be a problem. Sometimes the first indication is a notice from the IRS that a tax return already has been filed with a taxpayer’s Social Security number. To combat the problem, the IRS launched a public awareness campaign in November and began issuing a series of tips on how to protect data online. “The IRS and the states have been working to get better at detecting these false returns, but as the criminals steal more and more personal data, they can do an even better job of making a tax return look legitimate,” IRS Commissioner John Koskinen said in a statement. “In short, the criminals are evolving, and so must we,” he said. At an IRS security summit, tax preparers, software companies and the agency came together “to establish standards for authenticating tax filers online, and sharing information with the IRS and state departments of revenue on patterns of fraudulent behavior,” Pickering said. Taxpayers filing electronically might see requests for stronger passwords, and security questions to help validate that they are who they say they are. States also are taking steps, she said; more than a dozen now require employers to send copies of the W-2 directly to them by Jan. 31. The IRS also plans to require that in the future. If your identity is stolen, resolving the issue can take months, even longer. “It’s very difficult for taxpayers as well as practitioners to effectively resolve issues,” says Joseph Perry, the partner in charge of the tax and business services at Marcum LLP. “The Affordable Care Act has now made health care a tax issue,” Pickering said. Taxpayers will see some new forms, 1095B and 1095C, if they have employer-provided health insurance or got it outside the marketplace. Lisa Greene-Lewis, CPA and editor of the TurboTax blog, called the forms a “non-issue.” She said they are informational only. “The IRS computers are going to be able to verify your information that you and your dependents had the coverage,” she said. Taxpayers who didn’t have coverage in 2015 or didn’t qualify for an exemption from coverage will face significantly higher penalties than last year, meaning a bigger tax bill come April or a smaller refund. For those who don’t qualify for an exemption, the penalty for not having insurance in 2015 is generally the greater of $325 per person or 2 percent of taxable income over the filing threshold up to certain limits. Last year was the first time penalties were collected. Recently released IRS numbers indicate that 7.9 million households paid fines averaging $210 apiece on their tax returns for 2014. The penalties then were lower — $95 for the flat fee, or 1 percent of taxable income. Many lower-income people are exempt from the penalty, so taxpayers should check if they qualify for an exemption (use Form 8965 to do so). About 3.5 million returns were filed that included the health insurance premium tax credit — a key part of the health care law. Taxpayers can either get the credit in advance when buying insurance through the exchanges or receive it as a refund on their taxes. Either way, they need to fill out Form 8962 and attach it to their return. Congress acted in mid-December to extend about 50 expiring tax breaks for individuals and businesses. “Some of the credits and deductions which are pretty popular with people have been extended permanently,” Pickering said. The American Opportunity Tax Credit, for example, provides eligible students with a maximum annual credit of $2,500 for the first four years of college. The congressional action making it permanent helps students or their parents plan four years out, she said. Congress also made permanent the $250 above-the-line deduction for elementary and secondary-school teachers who use their own money to buy school supplies, as well as the deduction for state and local sales taxes, primarily designed for people who live in states without a state income tax. As part of the legislation, small-business owners will be able to take a deduction right away for up to $500,000 in eligible property without depreciating it. Also made permanent was the expanded and enhanced earned income tax credit for taxpayers with three or more children. “It’s really a lifeline for low-income working families,” Pickering said.